India plans major procurement of Night Vision sight for Troops in Kashmir. The Indian Army has planned a major procurement to purchase 13,000 night sight thermal imaging devices for AK-47 rifles and 14,000 autogated night sight image intensifiers via global tender. The army's anti-militancy operations in J&K is being severely affected by poor battery life of hand-held thermal imagers. Poor battery life of hand-held thermal images (HHTI) is restricting the army's ability to conduct night operations in Jammu & Kashmir and also affecting the Morale of soldiers. Army chief Rawat said the Army is fighting a "dirty war" in Kashmir and that innovative ways to combat insurgents are needed. Autogated night sight image intensifier tubes for AK-47s will improve aiming capabilities for 7.62X39 mm calibers from 100 meters to 500 meters. The image intensifier tubes should detect human targets at a distance of minimum of 100 meters under starlit night conditions without moonlight. India inks Rs 5000 crore defence deal with US to buy 145 M777 howitzers. What Assessors Look At SSB Candidates? 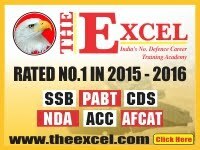 How To Choose a Defence Coaching Centre? 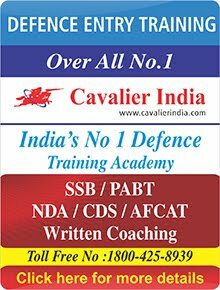 How to Crack SSB Interview On First Try ??? 10 Individual obstacle tasks that SSB candidate gets in GTO series. “THE MARK OF A MAN… NEVER GIVE UP! Copyright @ www.ssbrating.com. Powered by Blogger.